Visitors at Meiji Shrine (明治神宮) in Shibuya, Tokyo. The Shinto shrine is dedicated to the deified spirits of Emperor Meiji (1852-1912) and his wife Empress Shoken (1849-1914). 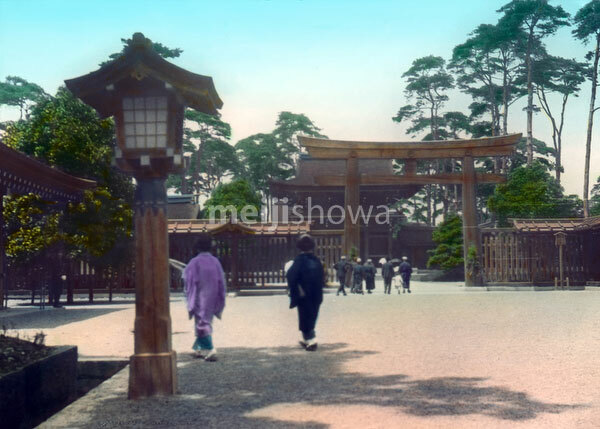 It was formally dedicated in 1920 (Taisho 9) and completed the following year.